Welcome to Sci Pop Talks! 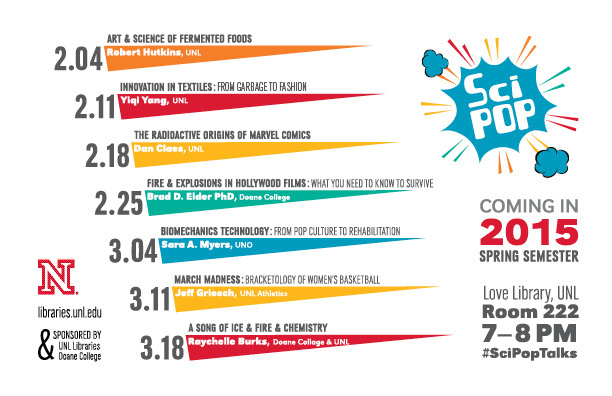 a weekly series of talks open to the public featuring the intersection of science and pop culture. The first series ran in Spring 2015, see you next school year! These talks are co-sponsored by the University of Nebraska-Lincoln University Libraries and Chemistry Department, and Doane University.